Airman 1st Class David Thurman tracks data provided by reconnaissance aircraft August 12, 2010, during Empire Challenge 10 at Langley Air Force Base, Va. The Empire Challenge 10 exercise was an annual joint and coalition intelligence, surveillance and reconnaissance interoperability demonstration that integrated resources worldwide to showcase emerging ISR capabilities and provide vital lessons learned to improve support to warfighters at the tactical level. 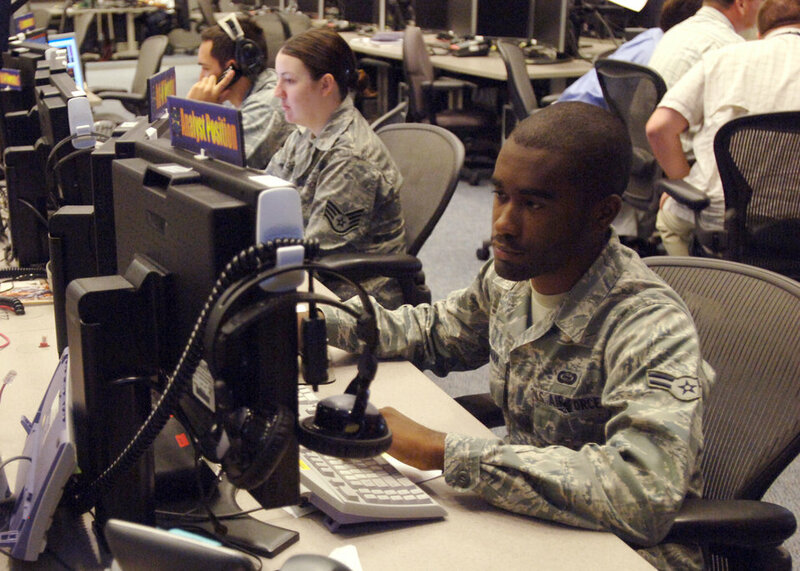 Airman Thurman is a 13th Intelligence Squadron imagery analyst.